Located in Mammoth County, New Jersey, Long Branch is known for its beautiful beaches and relaxed lifestyle. Enjoy the surf, sun, sand and nightlife of the town and let ASAP fix your garage door problems! ASAP is here to take care of your all garage door problems including broken spring, noisy door, blocking and jamming, and many more. 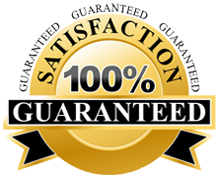 We are an experienced and trusted garage door repair company in Long Branch. We are the local expert in installing, repairing and selling all makes of garage doors and garage door openers in Long Branch. From broken spring replacement, noisy door silenced, panel replacement to weather sealing, we provide complete garage door services to cover all the issues. WE PROVIDE SAME DAY SERVICES and available for 24/7. Call us at (732) 322-8877 to get free estimate. At ASAP, we assure you of the timely and courteous service in all areas of installation, repair and maintenance for your garage door. Why Choose ASAP Garage Door Services in Long Branch, NJ? What are Your Prices for Fixing the Garage Doors? We have set reasonable prices for garage door services throughout New Jersey on the basis of garage door type, fault and replacement parts. Call us at(732) 322-8877to know the estimated cost of your garage door. Does ASAP Repair and Install All Garage Door Types? ASAP is the full garage door service company which repairs all garage doors including steel, fiber, automatic door and wooden door. Is ASAP Available in My Area? Do you have regular employees or use subcontractors? ASAP has the team of regular employees—not subcontractors. Our employees are certified and trained technicians who can repair and service all types of garage door system. Do I Need Professional for My Garage Door? Is it Not DIY? First of all, you should not repair your garage door yourself. Always call a professional for that. This is because garage door has complicated mechanism which can be turn worse if you are not familiar with it. Moreover, they can risk the life if they accidently fall with their 300 pounds of weight. Of course you can! We always await your suggestions and queries. All you need to call us at (732) 322-8877at your convenience. Can You Give Me Some Maintenance Tips for Garage Door? How to Know If My Garage Doors Need Repair or Replacement? Repair is an optimal solution if you are having garage door problem for the very first time. If your garage door requires repairs frequently, replacement may be your cost-effective and reliable option. This entry was posted in Long Branch on July 15, 2013 by admin.